After removing the screws which hold the outlet in place, gently pull it out of the box. 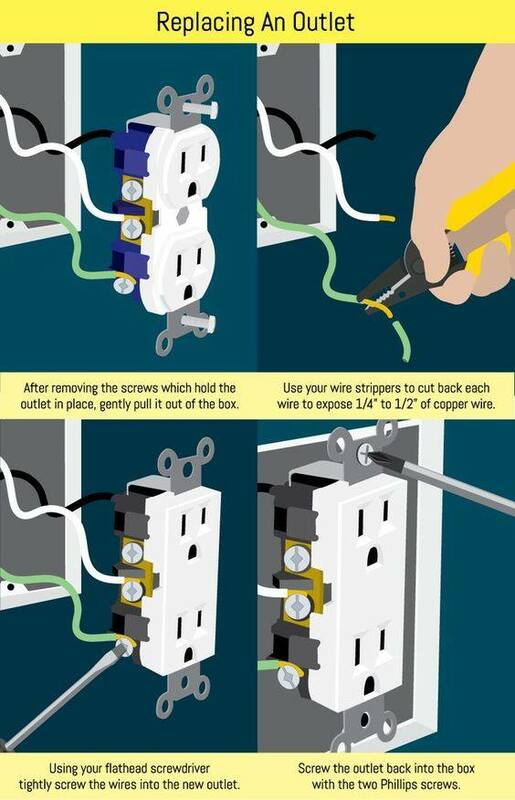 Use your wire strippers to cut back each wire to expose 1/4″ to 1/2″ of copper wire. Using your flathead screwdriver tightly screw the wires into the new outlet. Screw the outlet back into the box with the two Phillips screws.